Refreshing, tangy buttermilk dressing with a kick from She Simmers is great on all kinds of fresh greens, especially cucumber. Be sure to use what the recipe specifies: Thai Sriracha, not the so-called rooster sauce. 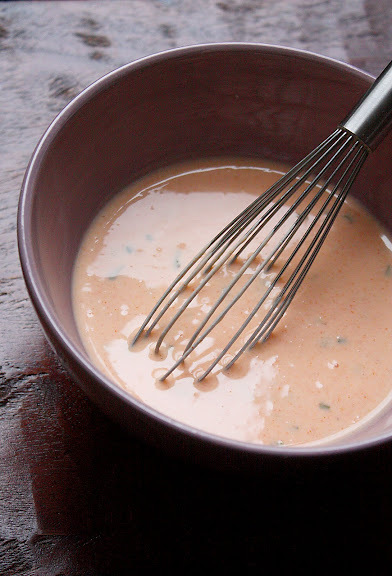 Ingredients: full-fat plain kefir or buttermilk, Thai Sriracha, mayonnaise, chives, and salt and pepper to taste.